Abi Aspen Glencross (Aspen to her friends) is not really a bad vegan, despite our provocative title. She does mostly follow a plant-based diet, except where avoiding wastage is concerned. As such, she's the only almost-vegan we know who regularly eats offal. A complex relationship with meat is very likely the lot of a former synthetic meat scientist. With her new project Duchess Grains, Aspen is researching, growing and milling heritage grains on an experimental farm outside London. Her goal is to show that low-input cereal farming is a practical and sustainable choice for farmers and consumers. She aims to help more farmers convert to growing these ancient varieties once more. At this talk and tasting, you will be able to try some of these delicious grains in the guise of different savoury and sweet dishes. Aspen will be cooking a (predominantly…) plant-based, family-style three course dinner and will be talking about her work and the future of heritage grains. Abi Aspen Glencross is a scientist, farmer and chef based in London and Hertfordshire. A former laboratory meat researcher, Abi Aspen swapped the lab for the fields after finding her passion in heritage grains, then spent time working at Dan Barber’s Blue Hill Farm in upstate New York and restaurant in New York City. 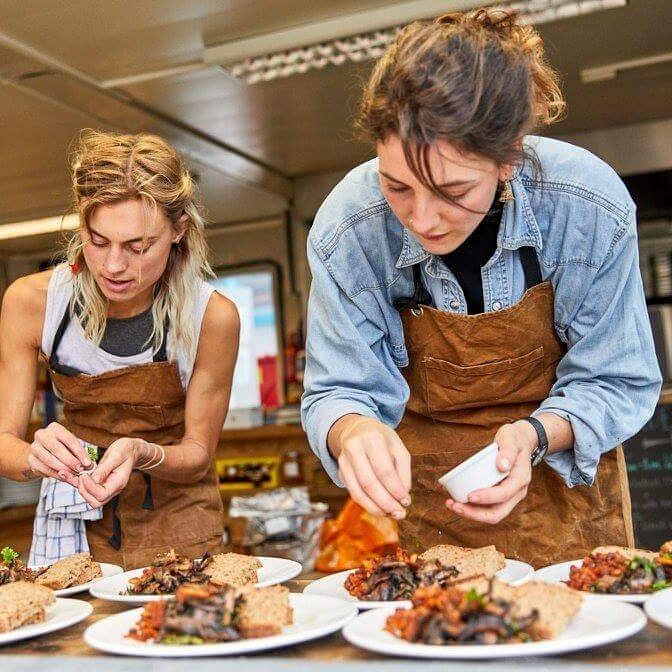 She is now co-founder of The Sustainable Food Story, a roving ecological exploring supper-club with partner in crime eco-chef Sadhbh Moore, and heads up Duchess Grains at Duchess Farms where the team grow, mill and retail heritage grain flour. Tickets are £20 to include a light dinner and a drink made by Blanch & Shock. Drinks will also be available to buy throughout the event. We can accommodate most dietary requirements and allergies but due to the nature of the event, we may not be able to meaningfully substitute for all ingredients. You will be able to add your requirements as you go through the booking process.